Skillman, New Jersey (April 8, 2019) – PrincetonOne, a nationally recognized talent solutions company recently launched its new website, PrincetonOne.com. Fully redesigned from top to bottom, the new site was created in conjunction with one of the recruiting industry’s leading website development companies who understands firsthand the demands of the recruiting business. The end result is a high-end, interactive site with fresh and well-organized content. 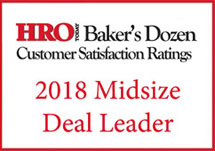 PrincetonOne is a nationally recognized talent solutions provider helping companies grow through four unique divisions—Recruitment Process Outsourcing, Professional Search, Executive Search and Contract Staffing. Regardless of the size or scope of a project, PrincetonOne has the expertise to deliver scalable solutions that are positioned to deliver results. Its deep industry experience combined with a broad range of services and capabilities enables the firm to help companies reach the highest levels of excellence in their talent solutions. To learn more about PrincetonOne, visit www.PrincetonOne.com. 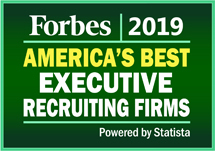 The New Jersey-based business ranked among the top companies on Forbes Best Professional Recruiting Firms list for the third consecutive year.